It started with a simple e-mail one Monday morning. A very nondescript one that said, ‘I want you to be a part of something exclusive’. Having seen mails like this before, I was almost tempted to pass it by, but I noticed that the sender was Blog Adda and was curious to read further. And am I glad I did that. 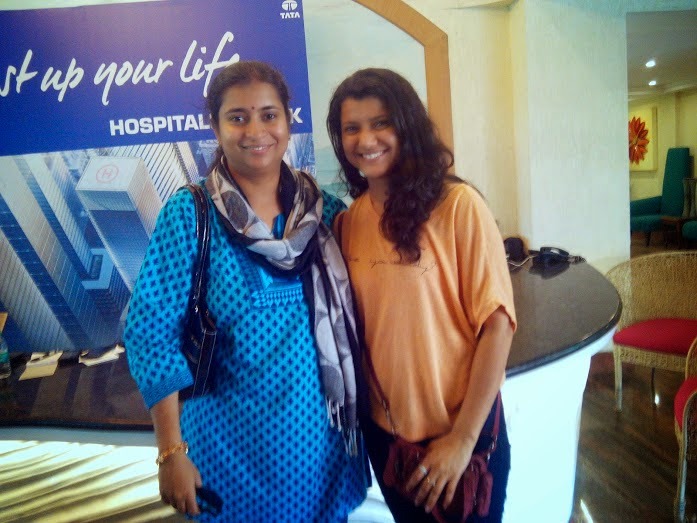 The mail said that they were selecting 50 bloggers from across India to experience an all-expense paid weekend at the luxury resort The Zuri White Sands in Varca, Goa, where we would have to drive around and review the new Tata Zest and live blog about it from the event. I blinked once, rubbed my eyes twice and pinched myself hard in disbelief to make sure that I was reading this right. Well, they didn’t need to ask me twice. I was going to Goa! Read my review of the car here! 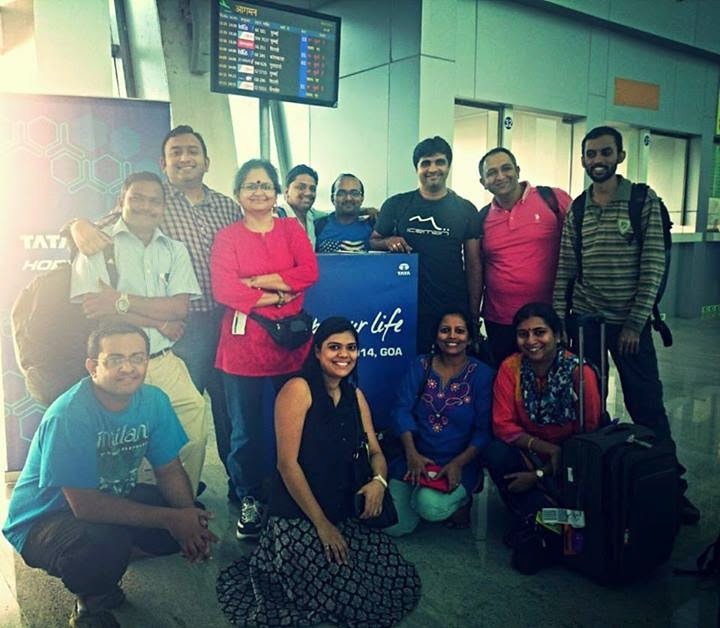 Saturday dawned early for those of us leaving from Bangalore (10 in number, just see our smiles!) and we reached the airport all ready for the exciting journey ahead. The entire journey was pretty relaxed and comfortable, including our very brief stopover at Chennai. 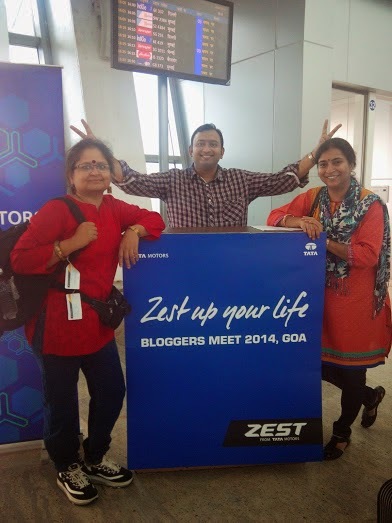 We landed in Goa to be welcomed with this sign from Tata Motors and a shuttle bus to ferry us to our destination. A pleasant drive across Goan fields and scenic, winding roads brought us to the Zuri White Sands Goa Resort and Casino, where we were immediately whisked away to a sumptuous lunch. All through the event, Blog Adda ensured that we were well taken care of, whether it was regarding our rooms, the agenda for the weekend, the test drive across Goa or the slight hitches that cropped up with network connectivity during our live blogging sessions. I must especially thank +Ankita V and +Harish Krishnan from Blog Adda for their patience in handling all our queries. It cannot be easy to organise an event of this scale, at such short notice. But , they pulled it off with style and a smile all through the event. I can honestly say that I never once saw them lose their cool or their control on the situation. Hats off, guys! 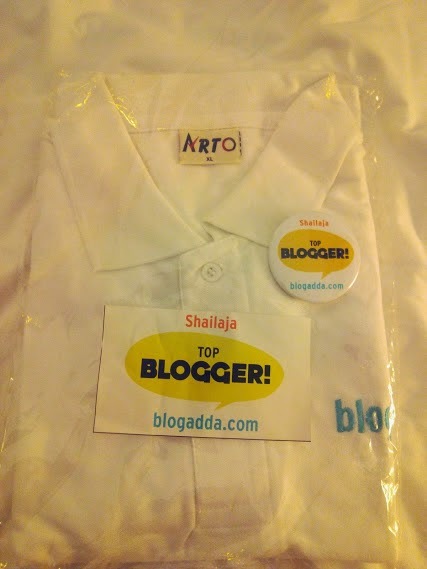 Even little touches such as the Blog Adda tee-shirts or the personalised badges made a difference to every single blogger who had traveled from across India to be a part of this weekend event. We were there for an event but that didn’t mean we couldn’t have fun of our own too 🙂 Bloggers were found snapping pictures away from every angle possible. There were heads bent over smartphones and tablets, tweeting away with the hashtags #ZestUpYourLife and tagging +BlogAdda and +Tata Motors almost by the second! But, we also knew how to put those gadgets away when it came to networking in person. It is a special thrill to meet the people whom you admire for the power of their words and what better way than at a Blogger’s conference! 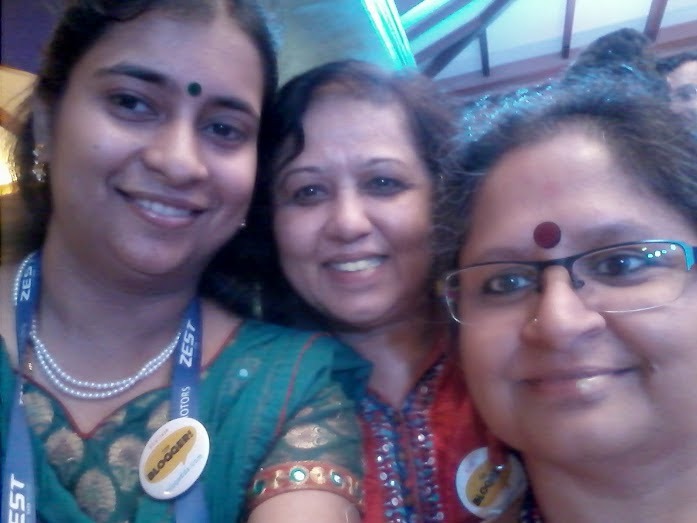 Yes, that’s +Shailaja V (yours truly) with +Vidya Sury and +Ritu Lalit ! Blog Adda has always been proactive when it comes to contests, events, reviews, their weekly features such as the Tangy Tuesday Picks, the Spicy Saturday Picks and the Write Over the Weekend initiatives (WOW). They were also the first to organise a Blogger’s Conference in India in February 2014, where the top bloggers from across India were awarded at the WIN ’14 ceremony! This blogger was also proud to be nominated in the Top 5 Parenting Blogs by Blog Adda. Blogging has always been an intensely personal and emotionally satisfying activity for me. Any form of recognition- a warm, heartfelt comment or a notification that your post resonated with a group of people- is very wonderful to hear. So, to be chosen for the special honour from across so many incredible bloggers in India was very gratifying indeed. So, a big thank you to Blog Adda and Tata Motors for this wonderful opportunity to be part of this amazing and once-in-a lifetime experience. Hope you all had nice time. Congratulations on this well deserved weekend!!! Congrats Shailaja. Looks like you all had a blast. What an amazing weekend you had! Thanks for sharing about it. Glad it was such a great experience for you and the rest of the bloggers. So special! Yeah we know it was fun.. Your pictures said it all. I really enjoyed it through your updates and tweets. That was a wonderful read and I loved reliving the memories.. Thank you very much, Jayanta! I don't think I did justice to even half of the attention we received. It was a splendid weekend! All thanks to Blog Adda. Nice post Shailaja… is a part 2 in the waiting…?